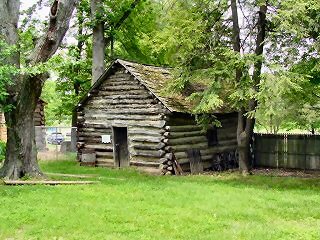 The replica of the Josiah Crawford home is a one-store, gabled cabin with a wood-shingled roof. It stands facing south. Like most of the cabins, it has a fireplace chimney on the north and a hearth within. These chimneys are constructed of brick covered with mortar and sticks to resemble the crude daub chimneys of pioneer cabins. Occasionally, Abe and his sister Sarah worked for the Crawfords who were their neighbors. Abe read books belonging to them, one of which was The Life of Washington. 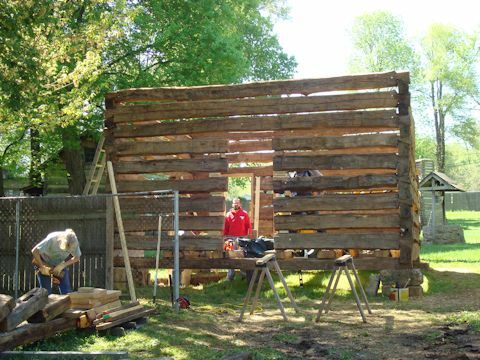 The Crawford Cabin had been removed due to its deteriorating condition. 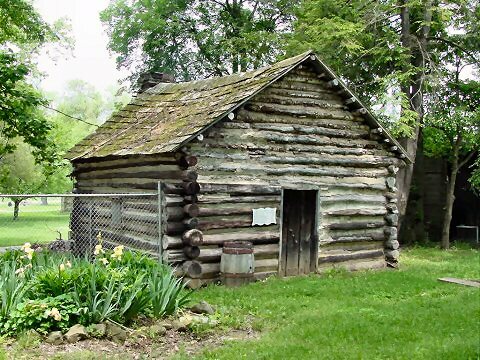 In its place, a log cabin from Falls of Rough River, Kentucky has been donated by the Spencer family. Tom Spencer's father, Rev. Spencer, was a minister at the Rockport Methodist Church for many years. The property, with the cabin, had been used for a church retreat.